When I was a child, we used to have a piano in the house. It was a brown, old standing piano and as a little kid, I liked to play like I’m writing songs on it. As I grew older and started going to elementary school, I started taking piano lessons, which lasted for a couple of years. I did OK, but I was never really into it. As I was reaching the threshold of puberty, I started to develop my own musical taste. And, because we’re talking about the early 90s, that taste was heavily based on Rock music. So, naturally, I wanted to stop playing classical piano music and start rocking on the electric guitar. But we didn’t have a guitar, so I asked my parents to quit the piano and get a guitar. It’s been approximately 25 years ago, but I still remember vividly the conversation I had with my parents, in the little room where the piano stood. They were trying passionately to convince me to carry on with the piano lessons. “It’s the basis of all musical education”, they said. They even claimed that Axl Rose was a pianist (I was really into Guns N’ Roses at the time). In my memory, this conversation is stored in the “not pleasant” box, and I remember a burdening sense that I must logically justify my wish to play the guitar, which was just a whim of an eleven-year-old boy who wants to be cool. Twenty-something years later, with my musical days long gone, I was sitting in my psychotherapy office with a couple of parents who wanted to consult with me regarding their daughter (the following details are based on a couple of true cases, but changed to protect the privacy of those involved). Joanna is a successful lawyer, a partner in a growing firm and – coming from a childhood defined by financial struggles – her career means a lot to her. Her daughter Karen is a junior high-school student and after a couple of years majoring in math and biology, she has decided to focus more on literature and sociology. And Joanna had a hard time accepting that. “She so good at math! And she loves biology! I don’t get why all of a sudden she wants to focus on literature”, she said, and you could see the confusion in her eyes. I asked her why does this choice bothers her so much and she went into a long monologue about the competitiveness of today's corporate market and how important it is to gain skills and knowledge early on, so she can find a lucrative job in some high-tech company. As she spoke, the memory of that conversation with my parents came up vividly. I remembered the uncomfortable sensation I had as a kid, and suddenly I had this burning need to stand up to Joanna and defend her daughter. When we bring new life to this world, we are born as parents ourselves. Even if it’s not our firstborn, we are born again as parents every time. And as much as our kids are not born like a blank slate, as people used to think, so are we. We do not become parents on a blank slate. We carry with us a huge bag, full of hopes and wishes, which we carry everywhere we meet our children. However, this bag holds everything. And on top of those hopes and wishes, just like in Pandora’s Box, there’s a trove of demons. Our worries, our fears, every notion of “how kids should be” that we absorbed with the years – they are all in there as well. As we do that, we risk hurting the authentic connection with have with our children. Attachment Theory teaches us that children will do everything to maintain the connection with their parents, even if that means giving up on some of their true selves. Or, if they can’t give up on that part of their self, they will stand their ground and fight on what's important to them, even at the risk of hurting their connection with us. If our kids will get the message that we expect them to only by X, even though their hearts pull strongly to Y, one of those two options is likely to happen. And each option results in hurting our relationship. This process was beautifully described by the influential psychoanalyst and pediatrician Donald W. Winnicott. 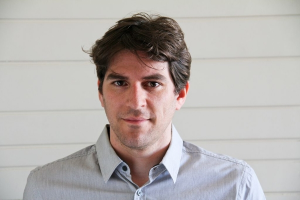 He wrote about the ways children experience demands and projections of parents as objects who hurt the natural flow of the self and prevent the kids from just “being”. In this situation, the child can only cover his or her true self with false parts, and lose an integral part of himself. The answer is no. We obviously can’t let our kids do whatever they want. This is a hallmark of the permissive parenting style and we already know that it can put the child on a bad trajectory. But on the other hand, we can’t enforce them to do our bidding. 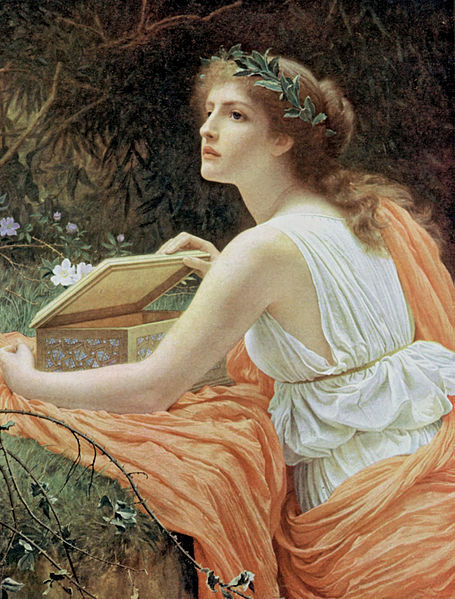 The solution lies in taking a brave and honest look at our own Pandora’s Box that we carry. Looking into it and recognizing our demons will enable us to realize if whatever boundary we are putting in front of our child is coming from a genuine need to protect them or from something we are carrying in our own souls. By working with Joanna, I was able to show her the connection between her feelings towards Karen’s choice and the financial worries that were prevalent in her childhood home. She suddenly remembered how she spent long hours in a field next to her home, looking closely at the dirt and leaves and looking for insects that used to fascinate her. “You know, back then, when people asked me what I wanted to do as a grown-up, I immediately said I want to be a scientist and have research trips in the jungle”, she said bitterly. “I told my mom and dad that I’m gonna be ‘The Jane Goodall of Beetles’, but my dad told me I gotta find a real job, that I need to make money and not feel my head with nonsense”. This vivid memory enabled Joanna to move from her position regarding Karen’s choice. Her bag was suddenly lighter, and she could hold it by herself more easily. With time, she was able to enjoy talking with her daughter about her new interests and learn from her about literature, sociology, and psychology. And this is what happened with my parents and the piano. They gave up on the battle, I abandoned the piano and got my dream guitar. And about two years later I abandoned it too, so maybe there’s a lesson here about the passions of childhood. 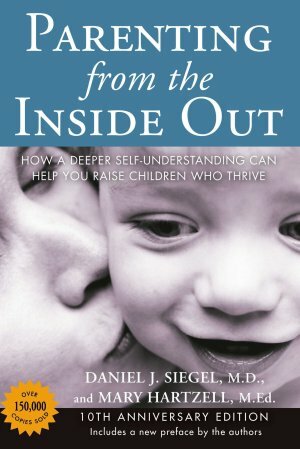 Parenting from the Inside Out by Dan Siegel and Mary Hartzell is a wonderful book that talk about the same issues I present in this post. The book talks about understanding our own history and self, inner world when it comes to parenting. It's a great book to read that can really help you on your journey to become a more mindful parent. (Note: this is an affiliate link. It means that if you buy the book after clicking it I will get a small commission at no added cost to you). Before you go: The Spring has officialy started last week, and our friends at Education.com have a nice worksheet you can download right now and play with your kids. Flowers are blooming as we search for the spelling words in this Spring printable. Follow Education.com for more spelling and learning activities like this. 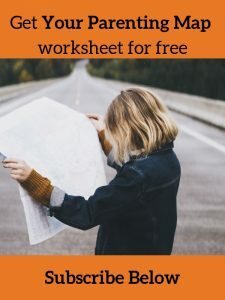 Just click here to download the worksheet.